Those of you who know me know I’m not celebrity-obsessed. Though from the moment I met today’s guest editor ten years ago at a party in the Hollywood Hills, I admit I’ve been totally star-struck. Brad Dunning is one of the most accomplished designers of recent years. 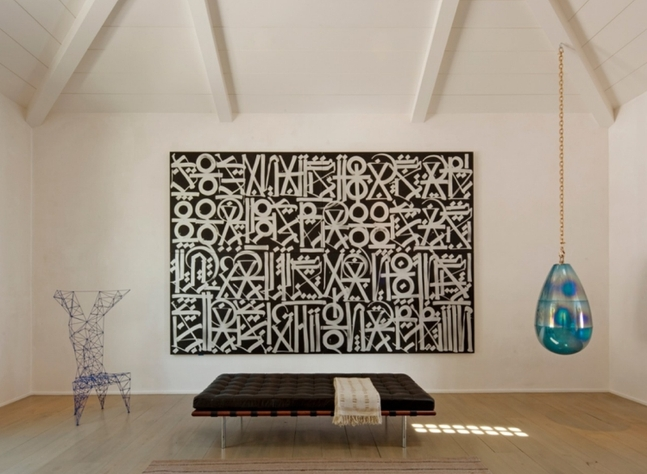 His work has been featured in many important design magazines … from Demi Moore’s modern treehouse (cover of Architectural Digest) to Tom Ford’s sleek Richard Neutra house, Brad has created masterpieces. He has been called upon to design some of the most famous houses of the last century. Besides his own signature work, Brad has been fortunate enough work on architecture by the likes of Richard Neutra, John Lautner, Buff & Hensman, Wallace Neff and Quincy Jones among others. Brad has also been a contributing editor for the New York Times Magazine and GQ. Very few people are allowed into the private world of Brad Dunning. Those of us who are lucky enough to know him are astounded by his intelligence, artistic genius, taste, wit, wisdom, and ability to beautify the places we live. Please see the Related Article "Ten Lust-Worthy Lamps" and examples of Brad's incredible work featured above.